There are certain people who all fans root for simply because of their reputation for being a class act. Matt Kuchar is one of those people. Whenever he participates in an event, the familiar chant of “Kuuuuuuuch” can clearly be heard on the telecasts. However, as the veteran star presses into the autumn years of his PGA Tour career, he is adjusting to being an elder-statesman on Tour. 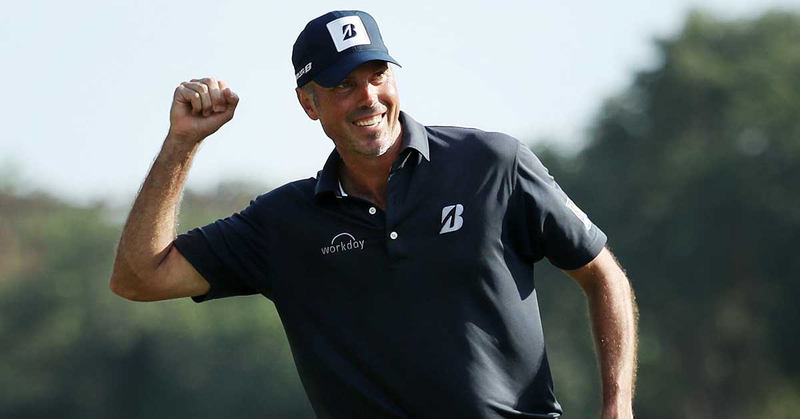 At the age of 40, Kuchar is almost twice as old as some of his fiercest competitors. 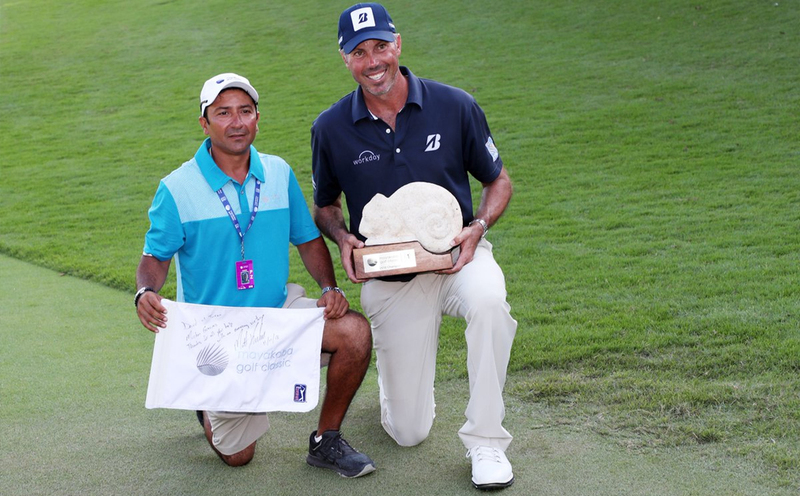 And, while he has not won on Tour since 2014, at the Mayakoba Classic in Playa Del Carmen, Mexico he exercised some of the outright professionalism that has consistently kept Kuchar near the top of the game for the better part of a decade. Kuchar held a sizeable lead heading into Sunday’s final round, but some shaky play down the stretch left him one shot ahead of Danny Lee with a 3-foot par putt on 18 for the win. In his cool demeanor, Kuchar calmly walked up and knocked in the putt for the long-awaited victory. A man who was unsure if he was ever again going to beat the twenty-somethings who possess so much power and skill, now has his sights set on multiple wins in 2019. These are the clubs he used to win the Mayakoba Classic, vaulting him up the early FedEx Cup standings to fifth. As Matt Kuchar locked up his first victory in almost five years, halfway around the globe in South Africa another former champion, Lee Westwood found the winner’s circle at the Nedbank Golf Challenge, the second Race for Dubai playoff event, for his first victory in a long time. How long, to be exact? Exactly as long as it has been since Matt Kuchar won his last event. Incredibly, both men had not won (on the PGA or European Tour) for 1,666 days. Westwood’s victory was a little less nerve-wracking, as he cruised home to a 3-shot victory over Andalucia Masters champion, Sergio Garcia. 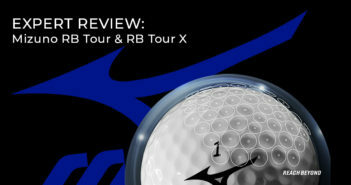 The European Tour heads to Dubai for the final event of the season to crown the winner of the Race to Dubai. Francesco Molinari still holds a sizeable advantage over the field and is predicted to add the accolade to his impressive year of golf. The last stop on the LPGA’s Asia swing had the ladies teeing it up at the Jian Lake Blue Bay Golf Club on Hainan Island, China. Gaby Lopez out-dueled the World No. 1 and No. 2 players, firing a 1-over 73 in the final round, holding off her fiercest competition ever by 1 stroke. Gaby’s win marks the first time since Lorena Ochoa that a Mexican-born golfer has won on the LPGA. Building up a four-shot lead with two to play, Gaby, who bogeyed 17 and 18, withstood everything the best in the world had to throw at her. The ladies return to the United States to finish up their season at the CME Group Tour Championship. Ariya Jutanugarn, the World No. 1 has already locked up the points and Top Ten finishes competitions, so the ladies will be playing for pride and the Tour Championship tournament next weekend. In a rare 4-day event, the Charles Schwab Cup Championship is the final event of the Champions Tour season. 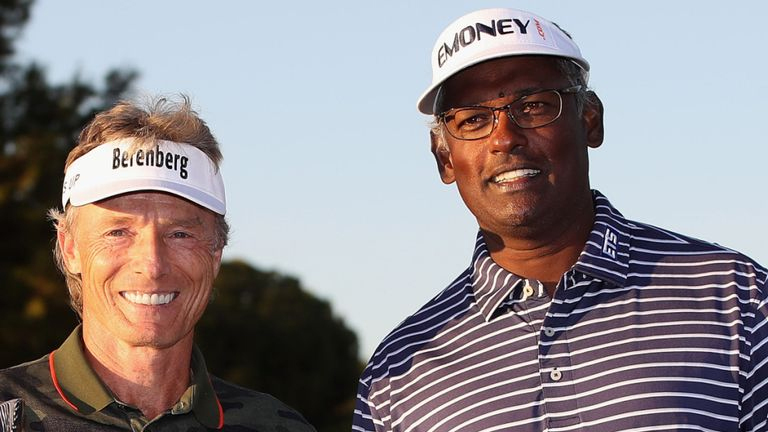 Bernhard Langer led Scott McCarron, Miguel Angel Jiménez and the rest of the field by a sizeable, but not insurmountable lead in the Charles Schwab Cup standings heading into the finale at Phoenix Country Club. McCarron needed a victory and Langer to finish no better than third. 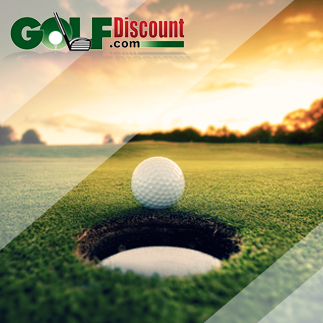 However, Vijay Singh shot four rounds in the sixties, including a final round 61 (and personal Champions Tour best round) to win the tournament by 4 strokes. Langer’s finish of 13th was enough to outlast McCarron’s T-3. Bernhard had won the Charles Schwab Cup for the fourth time in five years.